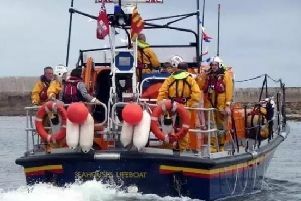 A new film which targets 18 to 29-year-old men with a message about the dangers of cold water shock has been launched by the Maritime & Coastguard Agency (MCA). The new 40-second film aims to highlight the dangers of jumping or falling into water, especially after drinking, and reveals some stark dangers. The MCA commissioned the eye-opening film in a bid to reduce drowning fatalities across the UK. Coastguard statistics reveal that on average around 50 people die of alcohol-related drowning around the coast of the UK each year. Of these, a significant percentage are young men who end up in the water as they make their way home. Each tragic incident has a different cause, ranging from slipping from river banks or harbour sides to dares from friends that have gone wrong. Even if the weather is warm, the waters around the UK remain extremely cold throughout the year. If you fall into the water, you are likely to suffer from cold water shock – your breathing increases uncontrollably meaning that you are more likely to take water into your lungs and drown.